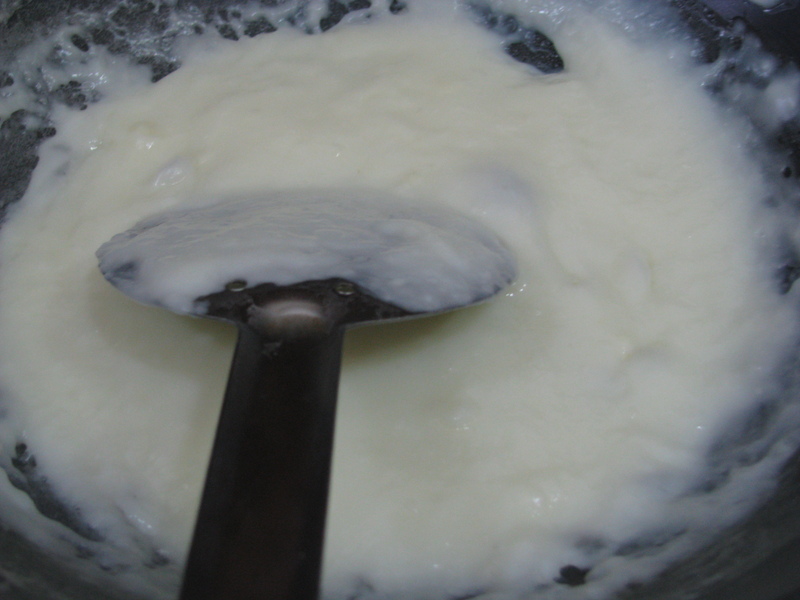 This is a recipe of Mayonnaise without Eggs, Sugar, Cream or Condensed milk. It tastes too good and without a second thought you can eat it guiltlessly in your breakfast. I like this Egg-less Mayo spread on my sandwiches, veg burgers and even in paratha role. Whenever I had ready-made mayonnaise (even if it’s Egg-less) I always had heavy feeling after eating it. 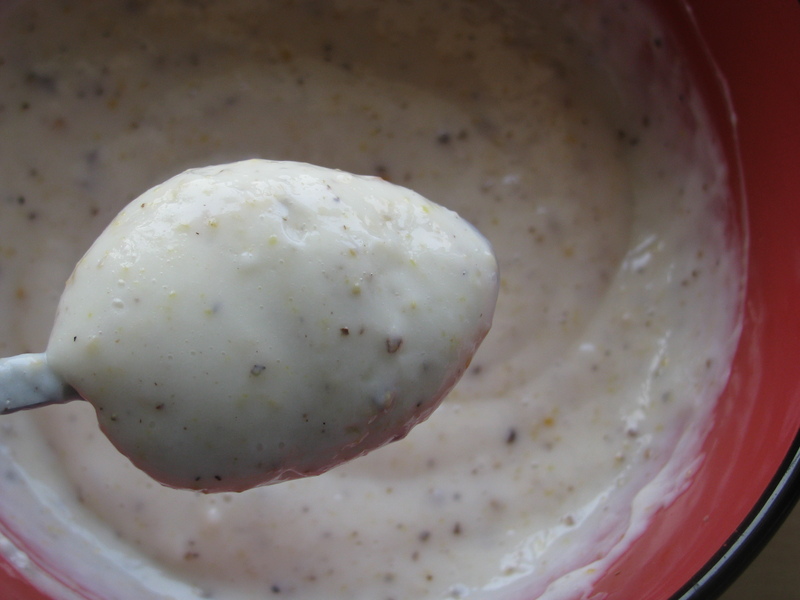 This homemade veg mayonnaise has much less calories as compared to the ready-made one. 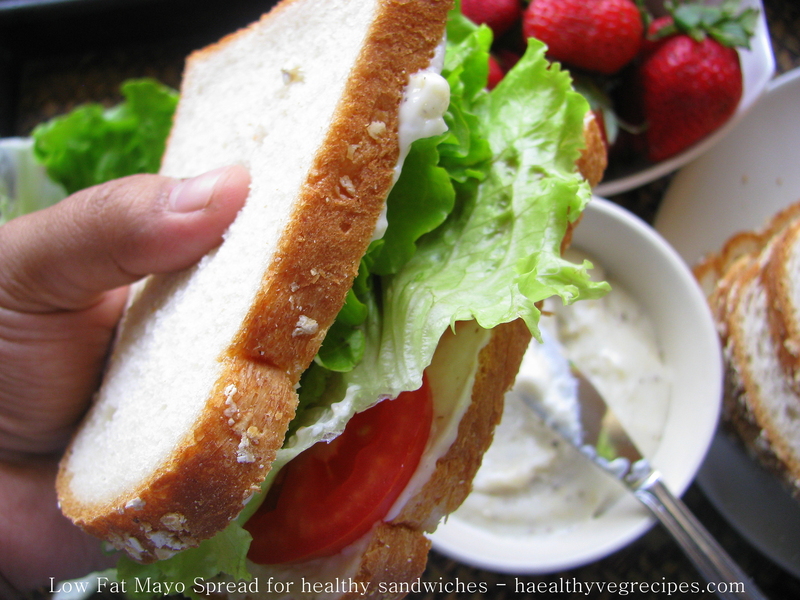 If you are on diet and looking for low calorie, healthy veg mayonnaise recipe, this is the perfect mayo spread for you. Mayonnaise is basically a thick, creamy sauce which can be used as spread, salad dressing, as a condiment and in lots of ways. The basic recipe of mayonnaise contains Eggs, olive oil, vinegar or lemon juice and it is flavored by using herbs and spices. Oil gets emulsified with Eggs to give it a creamy texture. 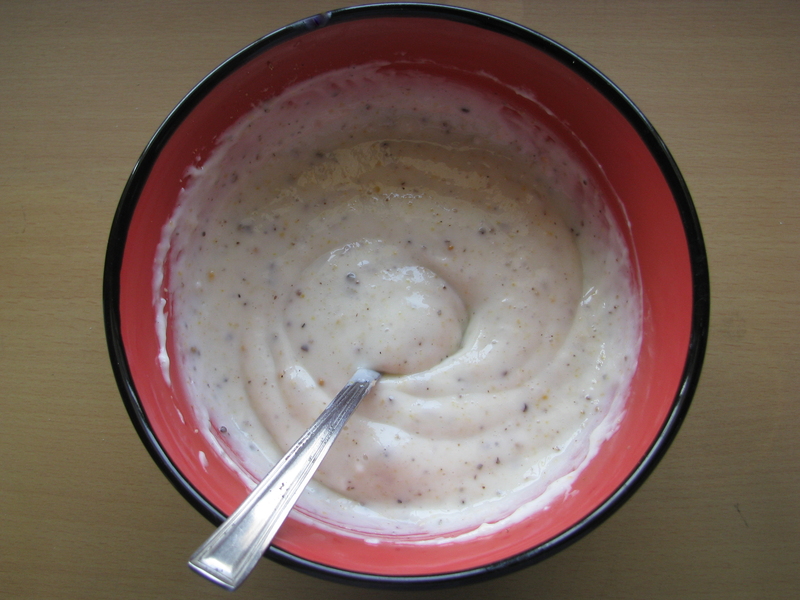 For veg mayo or Egg free mayonnaise milk, soy milk, cashew milk or condensed milk is used. 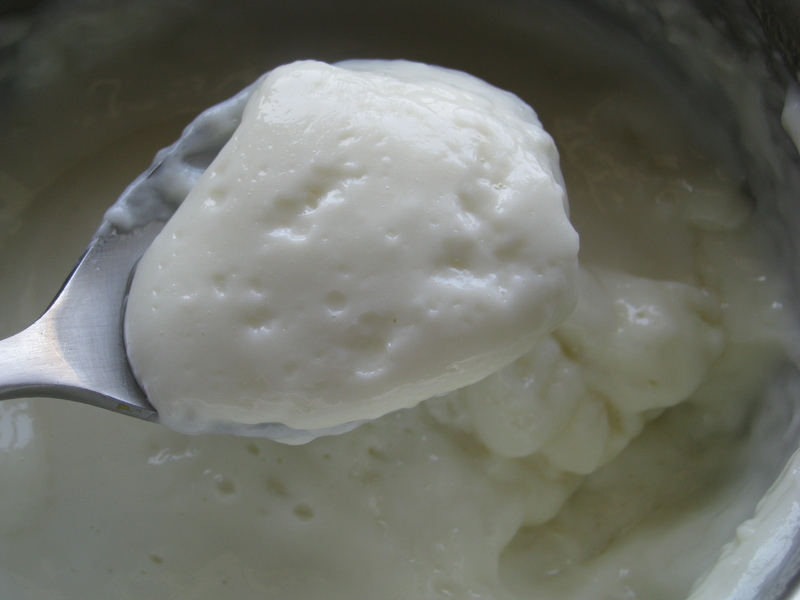 Oil content is very high in ready-made mayonnaise and it also has lots of preservatives in it. You would be surprised when you taste it. I bet you will make out the difference. 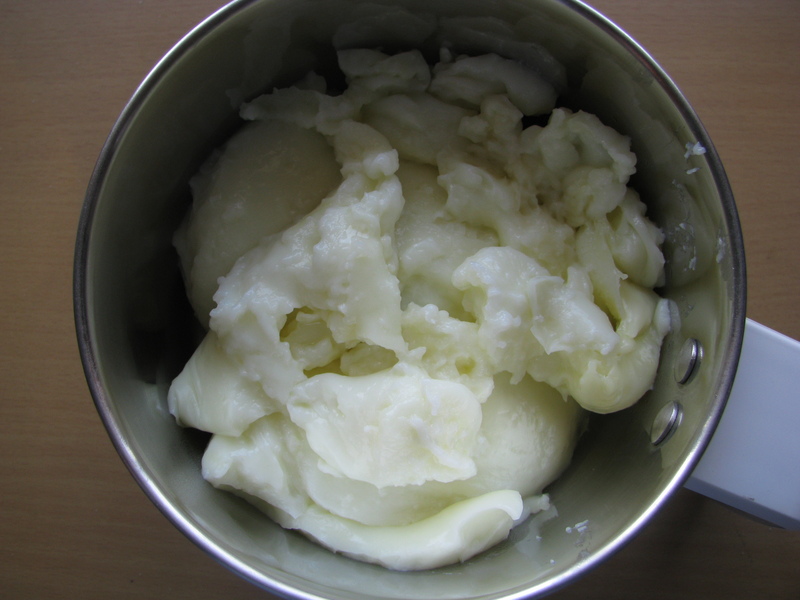 Fresh homemade mayonnaise can last for 2 -3 days if we store it in refrigerator. Ready- made mayonnaise has shelf life of months since it contains preservatives. But we do not know what side effects these preservatives would have. My kids love mayonnaise in their sandwiches and burgers and I don’t want to stuff them with ready-made high oil, preservative-containing and stale-for-months food. So the basic purpose of making this recipe is to make guiltless and healthy mayonnaise without sacrificing taste. Eggless mayonnaise or Veg mayonnaise is low in cholesterol, fat and calories as compared to the one with eggs. It is good for vegetarians, cholesterol conscious and for the people who are on diet. This mayonnaise is also good alternative for people who have egg allergies. This mayonnaise is also gluten free. The original recipe of mayonnaise contains eggs; eggs add creamy texture to this recipe. For Veg Mayonnaise the substitute of eggs can be milk, condensed milk or soy milk. I use low fat milk to make mayonnaise. You can use full fat milk to make it creamier. If you want to make it vegan, use soy milk. Both Milk and Soy milk are rich in calcium, protein and lots of health benefits. I use very less oil in my mayonnaise when I am make it for myself and my hubby Paresh. I use non-refined oil in my recipes. If you’re on diet you can make this recipe even without oil I use extra virgin olive oil or unrefined sunflower oil in my mayonnaise. You can also use unrefined sesame seed oil or peanut oil but remember it has very strong flavor. I use refined oil only for higher temperature cooking but whenever less heating or no heating is required I use unrefined oil in my daily meals. They are usually cold pressed, which means oils are extracted mechanically by machine which applies pressure not heat. This leaves the high flavor and nutrient content in the oils, making them a healthier choice. I use corn flour in mayonnaise to make it creamier. This works well since we are using less oil. 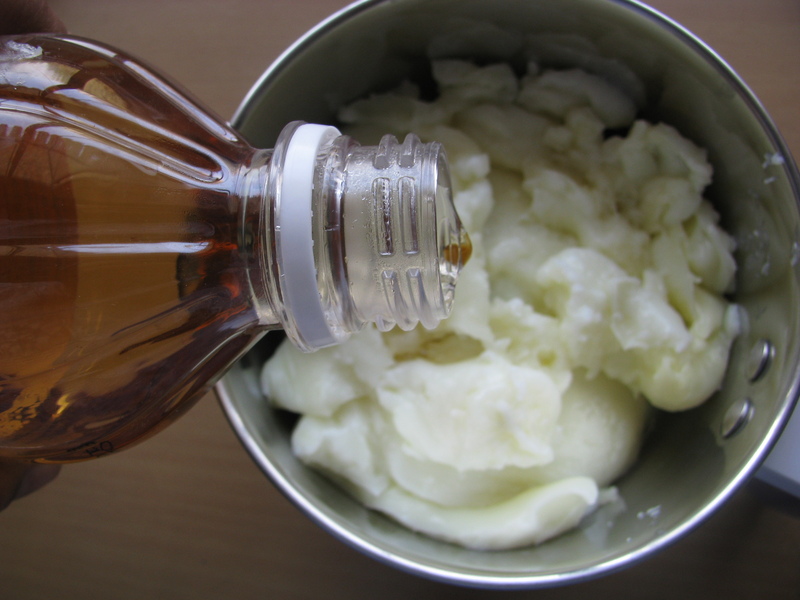 I use lemon juice or apple cider vinegar in mayonnaise to give it a sour taste. I use lot of lemon juice in my day to day meal and fresh lemon juice tastes very well in this recipe. It is said that apple cider vinegar has lots of health benefits and that’s why I started using it in my recipes. You can use any one of them in mayonnaise. I have started using honey in place of refined sugar in my recipes. I have added honey in this Egg free mayonnaise and it turned out really well. You can make plain mayonnaise but spices and herbs add extra flavors to it. Homemade mayonnaise tastes fresher and brighter than anything you can buy at the store as we use fresh spices and herbs in it. Spices and herbs taste best when they are eaten freshly grounded or chopped. 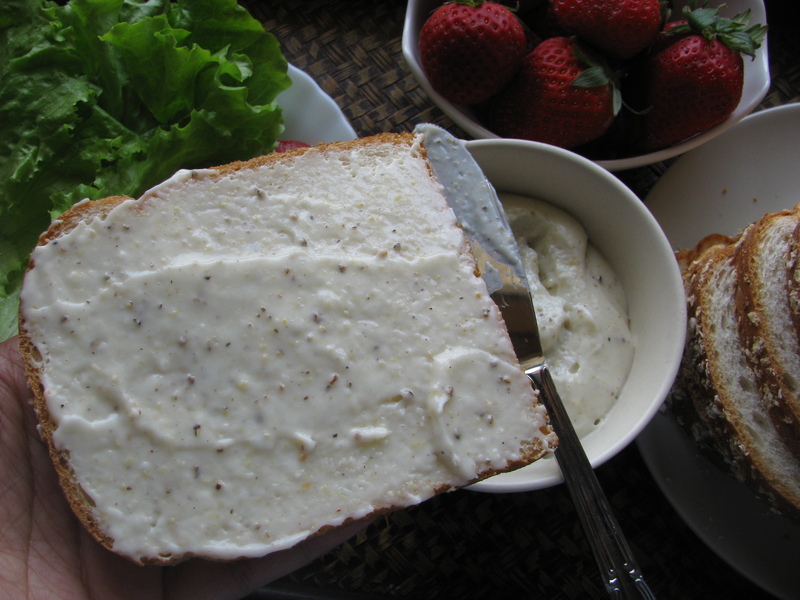 You can add many herbs or spices in mayonnaise to give it a nice flavor. You can add freshly crushed pepper, grounded mustard, minced garlic, chili flakes, dills, chives, oregano, parsley, basil or any combination of your choice. In this recipe I have used white peppercorns and yellow mustard. 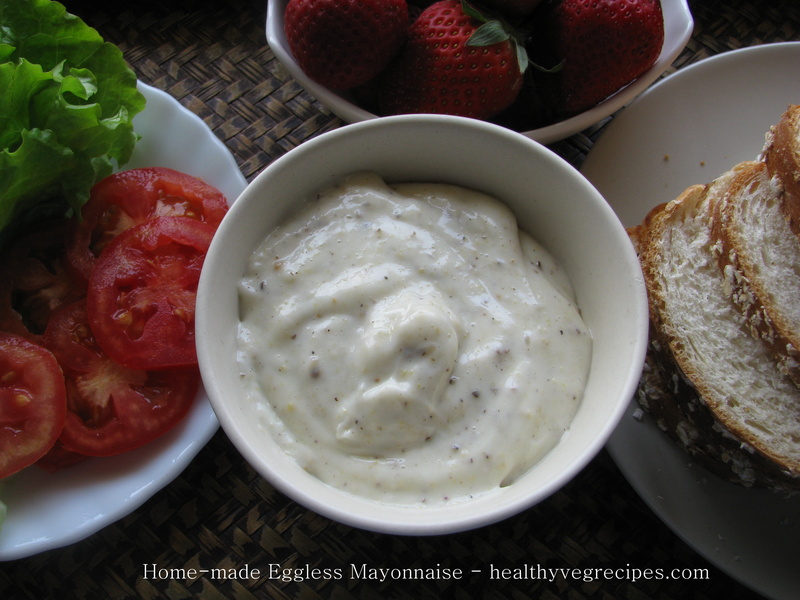 I have explained step by step recipe to make this low-calorie, gluten-free, Eggless mayonnaise. I am sure once you taste this recipe you will stop buying ready-made mayo. * Spices are optional , you can make this mayonnaise plain. 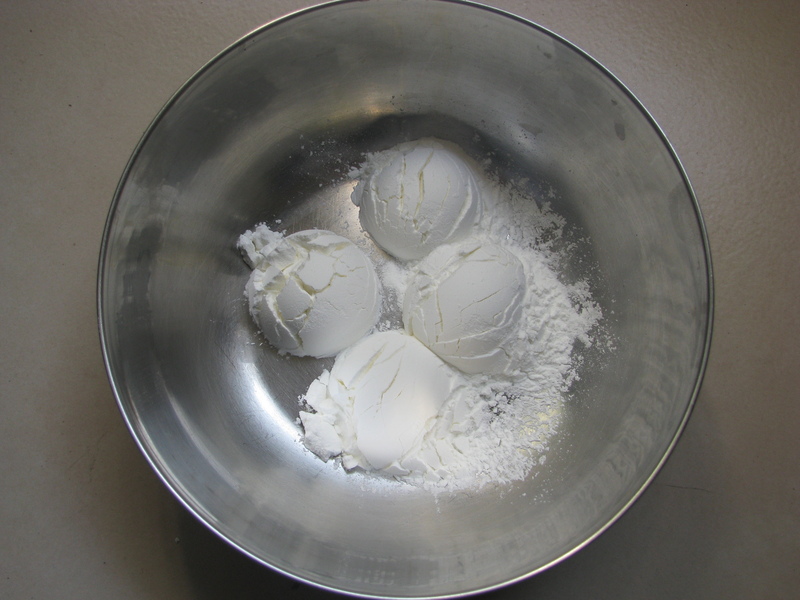 Take 4 tablespoon of corn flour in a mixing bowl. Fill it loosely, do not pack it down. 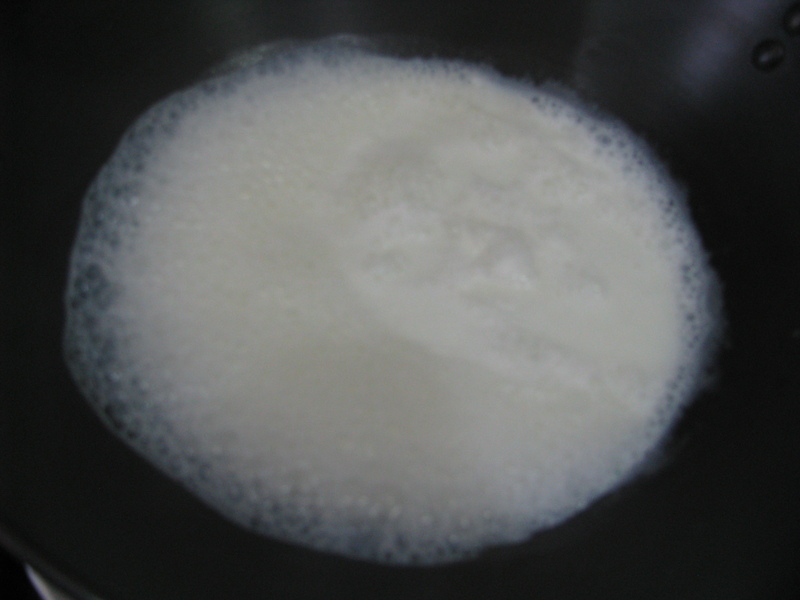 Heat 1/2 of the milk in a pan. 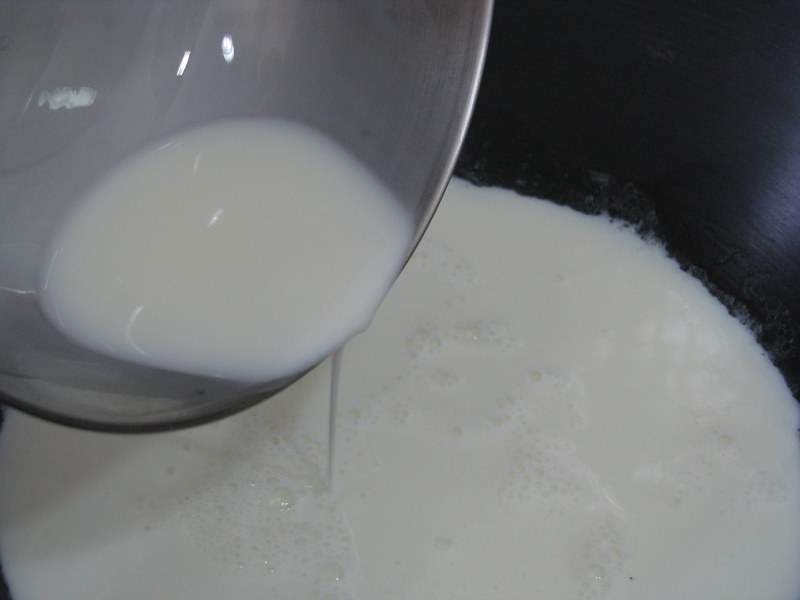 Whilst the milk will starts boiling, add the remaining milk to corn flour. 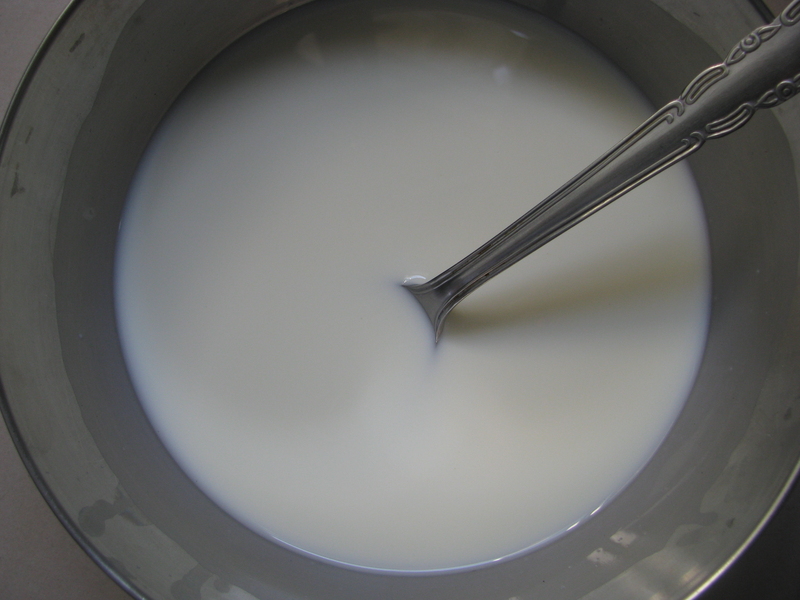 Mix the corn flour with the milk and stir well. Ensure there are no lumps in it. 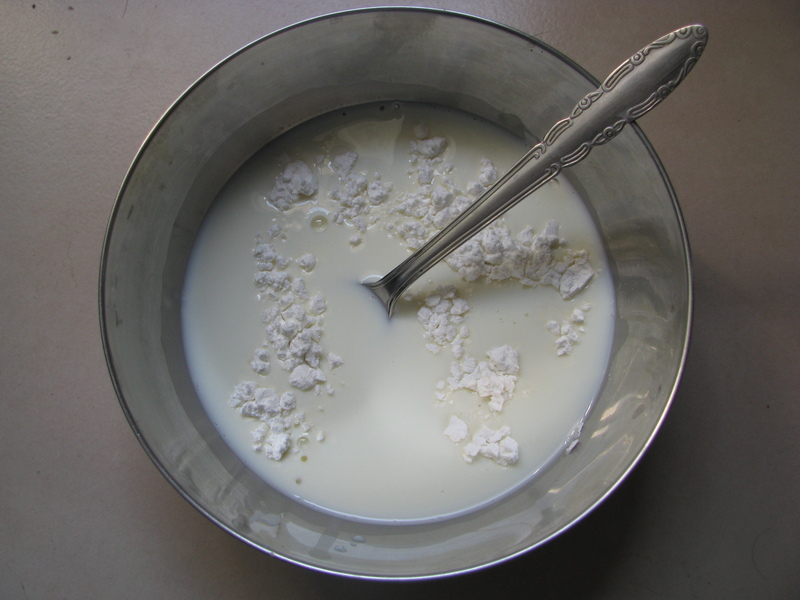 When milk starts boiling, add the milk corn flour mixture to it. On low flames, stir it continuously so that no lumps are not formed. 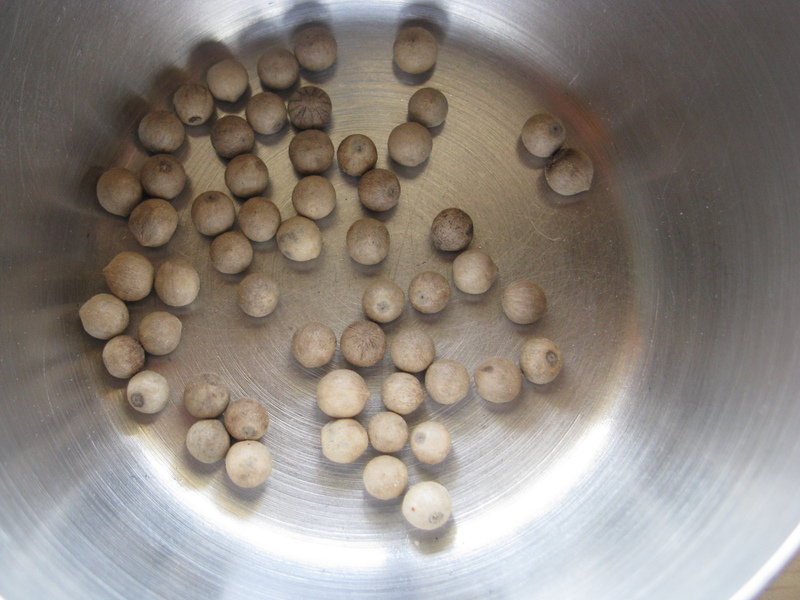 Cook it until the raw smell disappears and the mixture becomes thick and shiny. 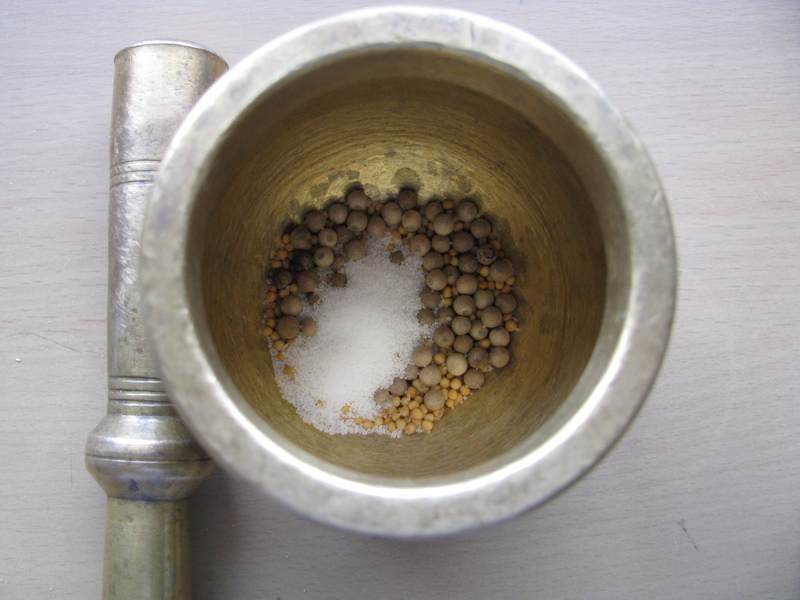 Take pepper, mustard seeds and salt in mortar. Crush it with Pastel to make a coarse powder of it. Let the paste cool down. Then take it in a blender jar. Add Apple cider vinegar or lemon juice and oil to it. Blend it and then add honey to it. Add coarsely ground salt mustard pepper powder to it. Tasty mayonnaise is ready to use. Store it in refrigerator. Mayonnaise has shelf life of 2-3 days. *Add little milk and mix it nicely if mayonnaise has become very thick and difficult to spread. *Don’t add spices if you want plain mayo. I’m bookmarking this one! In the old days, this used to be called boiled dressing. I always thought it sound horrible, but now it seems like I’ll have to give it a try. Is cornstarch the same as cornflour? I am glad that you want to bookmark the recipe! I just checked boiled dressing and found that it contains eggs. This recipe is without eggs. But you can try it out. In India, cornstarch and cornflour are the same. I hope next post would be “How To Make Momos” because Mayonnaise without Momos, naaa…. Thanks for posting this – looks yummy! Tried this today n came out yummm. I always use arrowroot powder instead of cornflour/starch as its a much healthier option. Thanks for the recipe n yep this is bookmarked for me. Hi. is honey essential to make this. Can we do away with sugar/honey completely ? I tried this today and it’s delicious. I tweaked the spices a bit. Superb recipe!